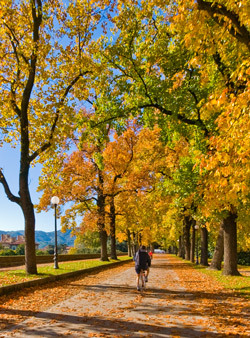 Lucca is celebrating the 150th anniversary of the Italian Unification with five exhibitions, a website offering a virtual tour as well as a real itinerary through town uniting some of the most important monuments connected to the Risorgimento period. From the Bastion of San Colombano to the historic Record Office, from the State Library to the Museum of Villa Mansi: a combination of memorable sights. 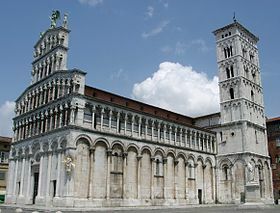 The event traces the different phases of the Italian Risorgimento through the study of the genesis of the events and fate of some monuments, highlighting the different ways in which the people of Lucca perceived and interpreted the message of unification between 1861 and the end of the 19th century. 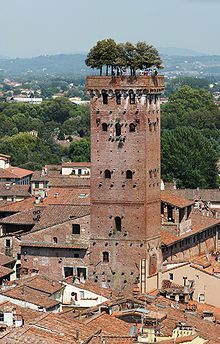 Not only documents and images centring on the protective walls of town but also a website with spectacular 360° images of important sights of town: from the Clock Tower to the Guinigi Tower with its oak trees on top, from the Princes’ Hall to the Savoia Hall, to discover the secret city. The first of five exhibitions concentrates on the transformation of the town’s walls into a promenade during the rule of Elisa and Felice Baciocchi. Modified to reduce their “warlike” aspect in the beginning of the 19th century, the drawbridges at Saint Maria’s Gate and Saint Donato’s Gate were replaced with a walled road and a new gate, Gate Elisa, was opened on the East side of the walls, those facing Florence. The final transformation of the walls into a public promenade included an extension of the same flanked by elm trees. It was Maria Luisa of Spain, Duchess of Lucca from 1815 to 1824, who set up a special ‘Public Embellishment Court’, also taking care of restoring and embellishing the walls, in the attempt to transform the town into a small capital. Another exhibition lingers over the restoration works on the front façade of San Michele In Foro. 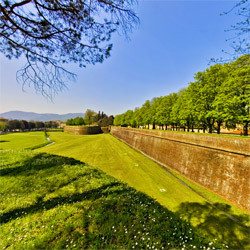 Started in 1866, the same year the Town Council of Lucca purchased the walls, the works, directed by the architect Giuseppe Pardini, were necessary because the façade was seriously dilapidated. Encouraged by the celebrations of the Italian Unification, Pardini sustained the need to represent some of the men who had contributed to the history of Italy by social and national progress. For this reason Pope Pius IX and Napoleon III are portrayed alongside King Vittorio Emanuele II and Camillo Benso di Cavour, whereas in the second order of small arches Carlo Alberto di Savoia, Bettino Ricasoli and Napoleon I complete the political picture. 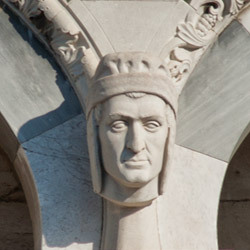 Beside them, not very appropriately,also the unmistakable face of Dante Alighieri. All the other figures represented in the busts on the façade come from medieval history, theology, literature and science. In the fourth order of small arches we find the saints, whereas the third order contains Alessandro Volta, Christopher Columbus, to create a pantheon of heroes, politicians and wise men but to meet with stiff compromise and at least satisfy the members of the commission supervising the restoration works, the façade lost its uniformity and became a confused “pastiche”. Another important event happening during the period of the Italian Unification and today related for the celebration regards one of the towns works of art. 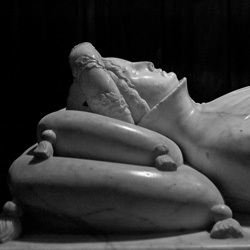 When Lucca became a province of the Kingdom of Italy, the sarcophagus of Ilaria del Carretto, a masterpiece by Jacopo della Quercia, was lying, almost forgotten, resting against the north wall of the north transept of the Cathedral. A position chosen for the lack of one of the long sides of the casing, separated from the monument as long ago as 1544. Discovered in the cellar of the Guinigi Palace approximately at the beginning of 1828, this piece was sold to the antiquarian Pietro dal Poggetto. In February of the same year Antonio Mazzarosa proposed purchasing this piece to the then Minister of Internal Affairs. The request was not accepted and the antiquarian was thus able to sell the panel to the Florentine Paolo Casagrande who, in turn, sold it to Giovanni Dini. From the latter it passed to the Uffizi Gallery. The question of the tomb panel, never forgotten by the people of Lucca, once again came to light in 1874 in an article signed R (Enrico Ridolfi?) which recalled, as an example of poor administration, precisely the incident of “one side of the casing of the very fine sarcophagus of Ilaria del Carretto”. From that time on, difficult and lengthy dealings began between the local Fine Arts Consulting Commission and the Government, in order to bring back to Lucca the missing panel which, in the meantime, had been transferred to the Bargello National Museum. It was only returned in 1887, thanks to the constant efforts of Enrico Ridolfi, who had been appointed Deputy Director of the Royal Galleries of Florence in 1885. This is the subject of another exhibition held in Lucca for the celebration of the Italian Unification. These and much more are going on in Lucca until March 17th. 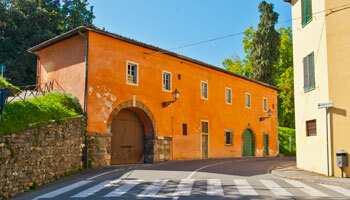 Link to one of our holiday accommodations in Lucca.